The America’s Most Beautiful Roadster (AMBR) Award consistently brings out some of the finest examples of roadsters on the planet each year. 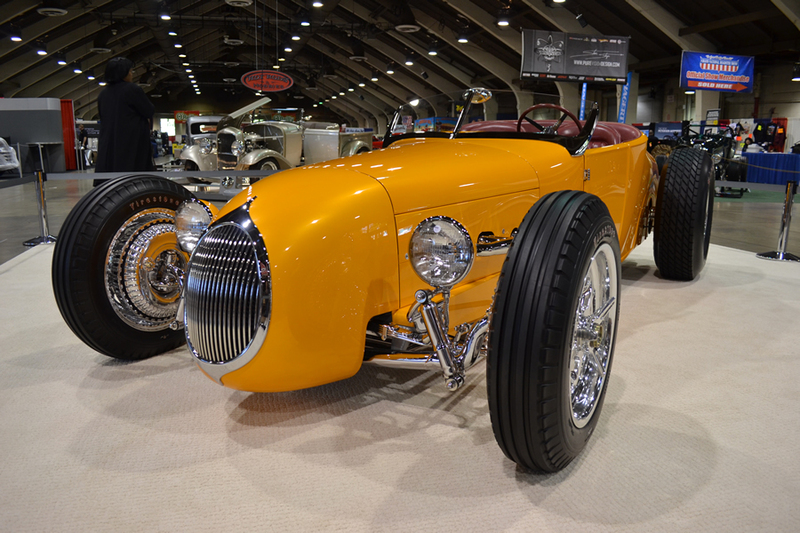 We were lucky enough to get a closer look at one of this year’s contenders, the Hirsch 1927 Roadster. 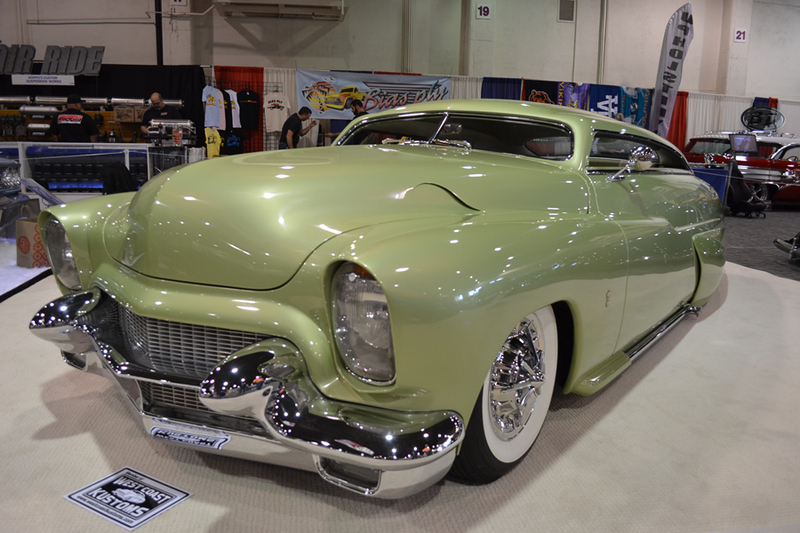 Built by the famous Chopit Kustoms, the car was originally built as a driver, not a show car, but as you will see from the pictures, this car is superb in both categories. 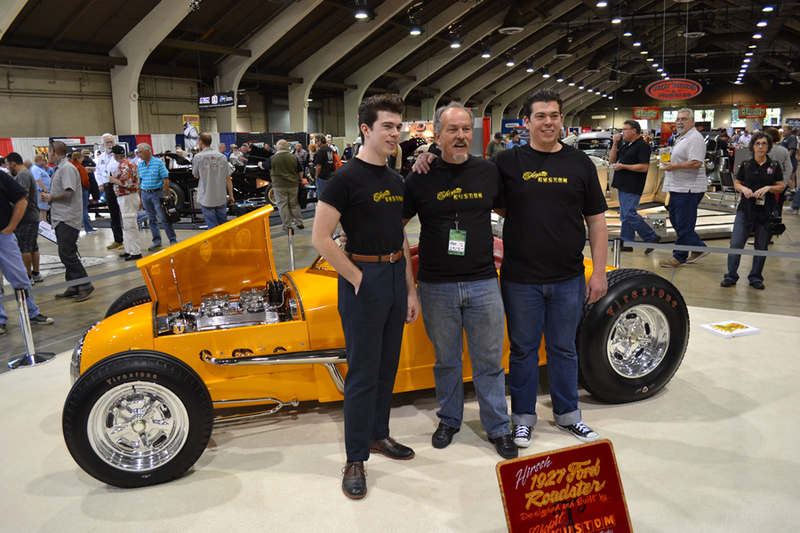 The first group of photos are from this year’s Grand National Roadster Show, where the roadster was a strong and stunning contender for AMBR. 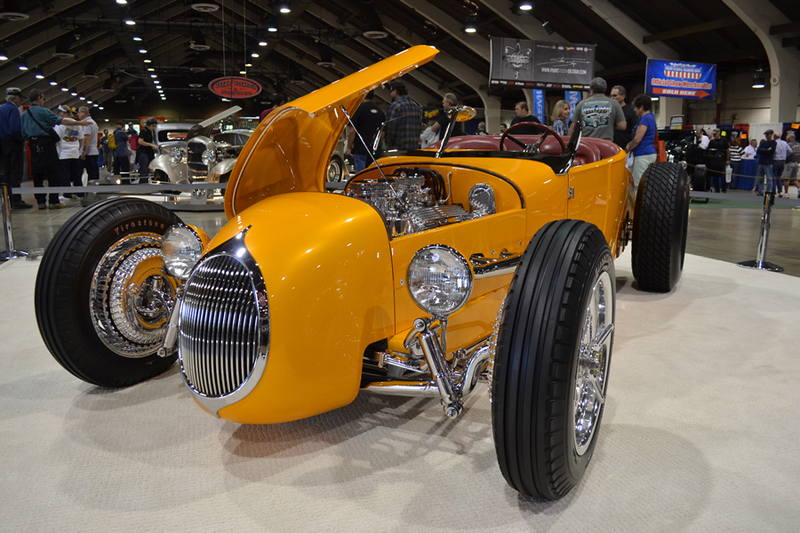 Talk about an attention-getter – the crowds LOVED this roadster. 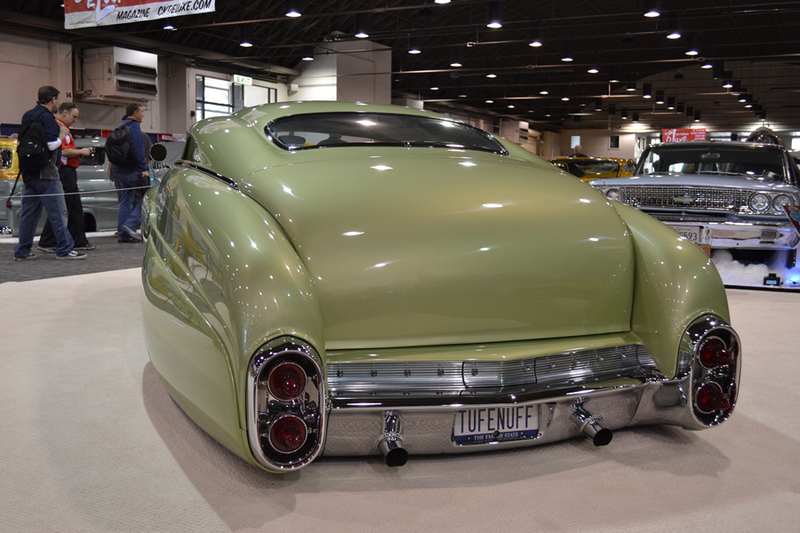 Now the Chopit family didn’t just bring this roadster to the show, they also brought out the Tuff Enuff 1950 Merc that Gary built in 2002. Looking like a fresh build nearly 13 years later and with incredible mods and serious attitude, this Merc is a show stopper all on its own, and a testament to the vision and quality of a Chopit build. Okay… back to the roadster. First, let’s give you a peek around the entire car. These photos were taken at the Chopit shop just before the car was delivered to the owner. No car leaves the Chopit shop unless it can reach 100 mph safely on the highway – that’s right, you guessed it – this car this was a full-on driver long before it ever made it to the GNRS. Are you in love yet? We are! Special thanks to the Fioto family for giving us a closer look at this labor of love. 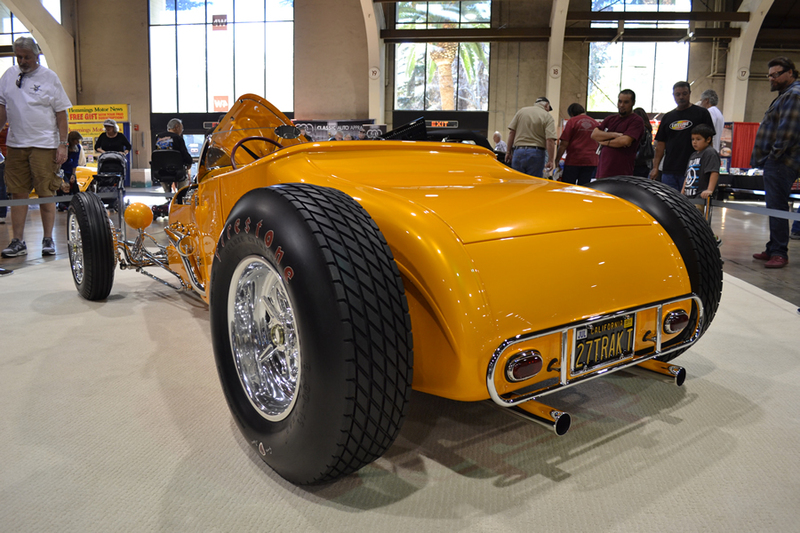 The time, effort, talent, and love poured into this roadster are evident in every detail – this beauty is simply gorgeous from every angle! Want to see more Chopit projects? So do we! Don’t worry, we’ll be staying in touch with the Fioto family and keeping an eye on the next projects they have on deck!